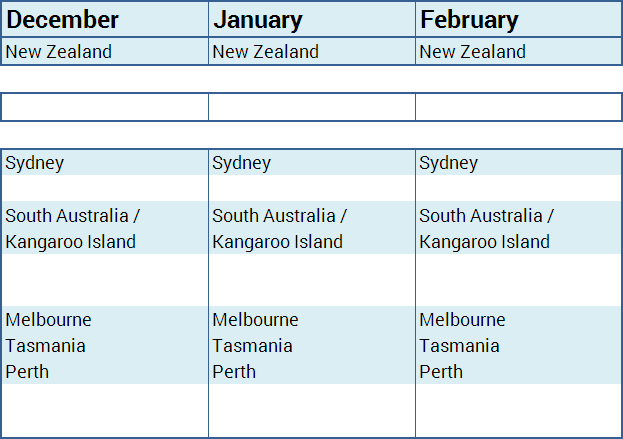 When planning your trip with EDUT, we’ve already done the research on when you should go to different regions of Australia, New Zealand and the South Pacific Islands. 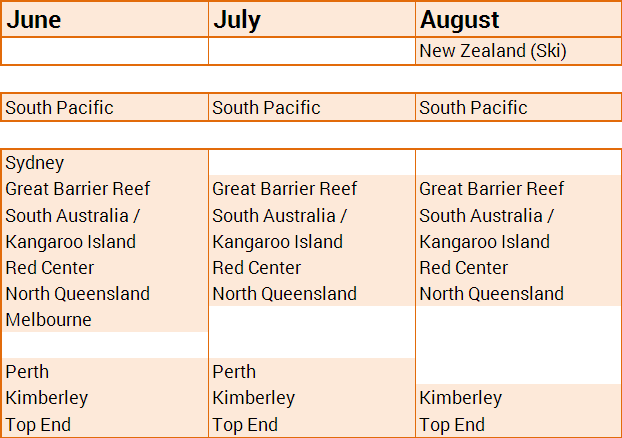 Below is a handy chart that notes the best times of year to visit each area. 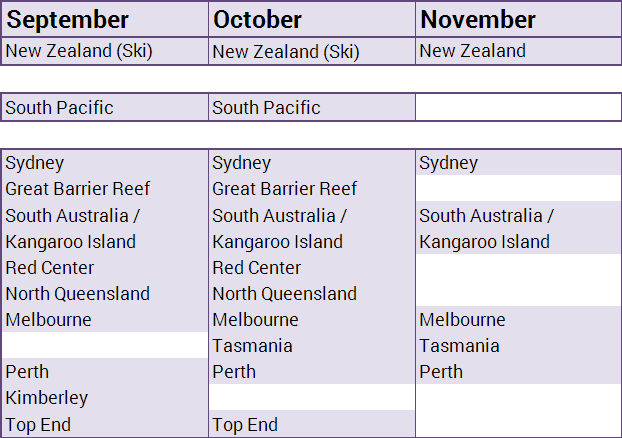 Keep in mind, the seasons are reversed Down Under, so we’ve labeled them to reflect the season you’ll experience on your trip. 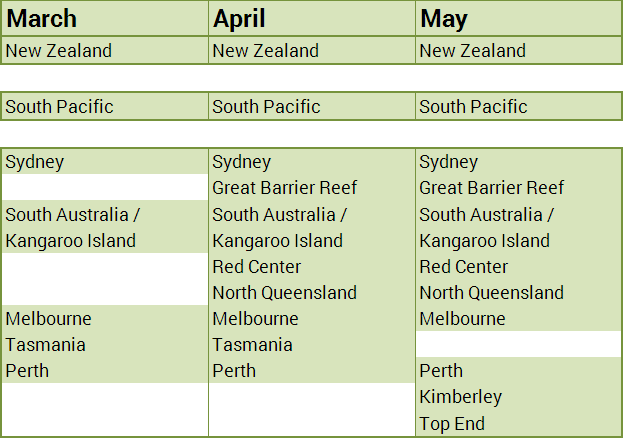 One reason we are South Pacific experts is because we know where & when to go! Let us know when you'd like to go and we'll put together your custom itinerary.